On Saturday April 7, 2018, Smithfield Police Explorers participated in Police Explorers Stations Day which was hosted at New England Tech. Stations Day is a competition between police explorer posts in Rhode Island. This year there were 67 police explorers who participated in 8 various stations that tested their skill land knowledge of police work. The photo shows from left to right: Sgt. Cory Carpenter, Alyssa Ambrosino, Cameron Pezzullo, Sebastian DeJesus, Devin O’Brien, and Ptlm. Jon Ricciarelli. Alyssa and Devin walked away with 1st place in the Domestic Violence and DUI investigations and Cameron and Sebastian placed second in DUI investigations. 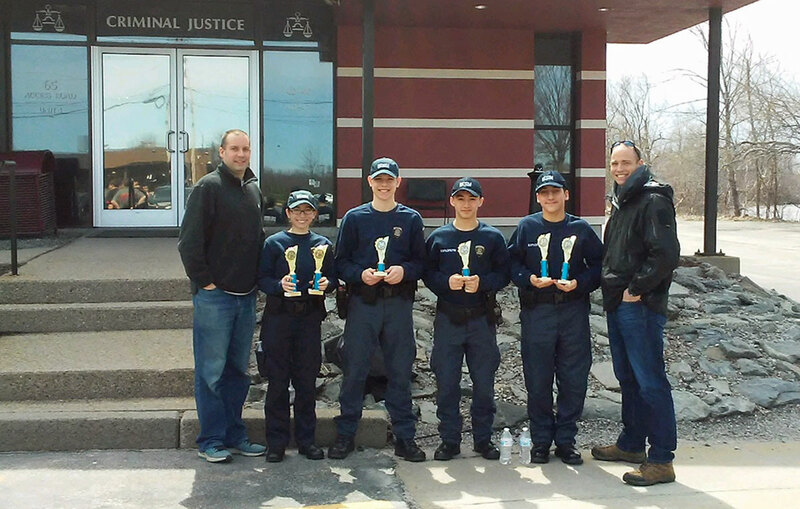 Keep up the good work police explorers!